Follow here a series of links and comments on issues that are of some prehistoric or genetic interest (plus a well fed section of astronomy news this time), which I have got no time to deal with so far… or do not come with enough info to merit a separate entry… or are not of great interest to me. 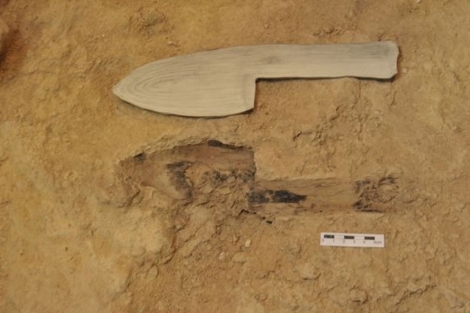 The almost hollow print of what once was a trowel (or similar) has been found at the important Paleolithic cave of Abric Romaní (Capellanes, Catalonia). The print came with some residues which indicate that the instrument was left at the fire when it was already off, so it did only burn superficially, later being deprived of oxygen by water and moss. The artifact’s length is of 32 cm, with a maximum width of 8 cm and may have been used to manage the fire. It is dated to 56,000 years ago. 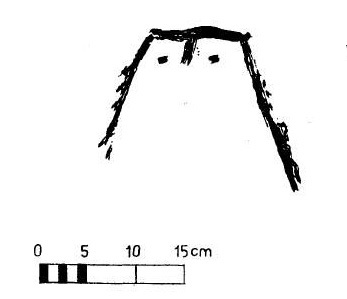 I recently mentioned a mammoth engraving from Florida, which should be from c. 13,000 BP. Another place where such engravings seem to exist is San Juan River, near Bluff (Utah). 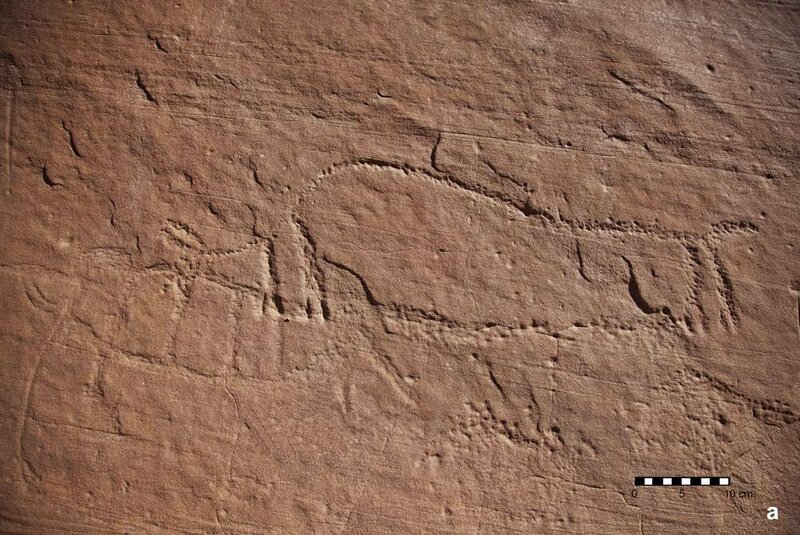 That is what Ekkehart Malotki and Henry D. Wallace argue in a paper published at Stone Pages, which includes many images of petroglyphs, only a few of which look like mammoths, one of them very clearly so. ··> PDF at Stone Pages. The opium poppy grows spontaneously in most of Europe, specially in the Mediterranean. I was knowledgeable that Western Danubian farmers had grown and used this narcotic in Germany and nearby areas but this is the first explicit reference I know of its use in the Mediterranean basin or the Iberian peninsula. Sadly this material is in Spanish language and I don’t have room nor time here to deal with it properly. Hopefully later on. ··> B. Gavilán Ceballos, USO RITUAL Y MEDICINAL DE LA PAPAVER SOMNIFERUM EN EL NEOLITICO DE LA PENINSULA IBERICA (UNED, 2007). Found at Pileta de Prehistoria[es]. The last bit I want to highlight from Pileta is a documentary (in Spanish) on the destruction by private businesspeople of the archaeological patrimony of the cave of Chaves (Aragon). I already mentioned this crime against humankind in 2010 at my old blog. ··> Chaves la Memoria expoliada (video at Pileta de Prehistoria, in Spanish, 55 mins). I mentioned in June some speculation on HLA (immune system) introgression from Neanderthals or other archaic Homo in Asia. The corresponding paper has been published with more data but is pay per view (supp. material is accessible however). Back in the day I thought it looked at least partly unlikely (as the corresponding haplotypes are in some cases found in Africa). 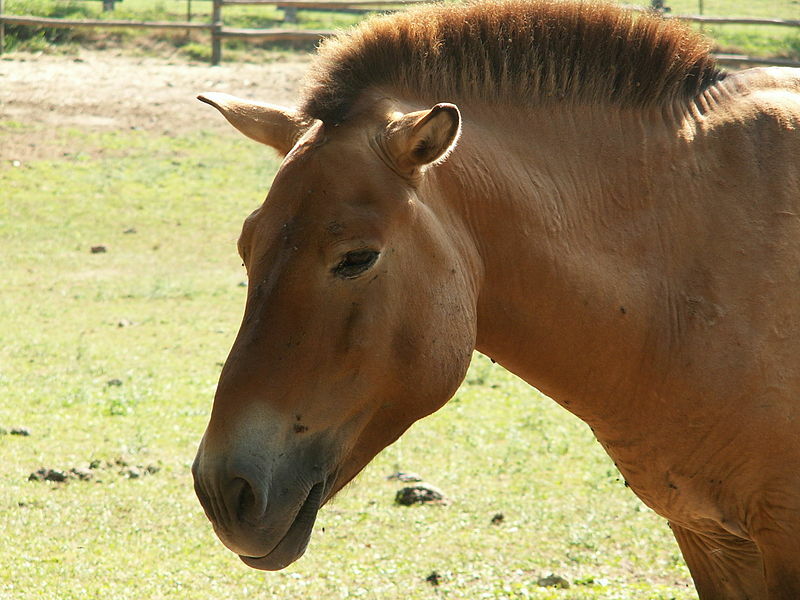 While horse mtDNA is most diverse and suggests many origins, all known Y-DNA comes from a single lineage… which happens to be related to that of the Przewalski wild horses of Mongolia via an ancient intermediate lineage located at Tuva Republic. Ancient wild horses from Siberia and Alaska however had much greater Y-DNA diversity. ··> Science Daily, Nature (PPV). Karima Fadhlaoui-Zid et al., Genetic structure of Tunisian ethnic groups revealed by paternal lineages. AJPA 2011. H. Enafaa et al., Mitochondrial DNA and Y-chromosome microstructure in Tunisia. Nature 2011. Unnamed Dwarf Planet (Snow White 2007 OR10) gives us some new information on itself and the Kuiper Belt. To begin with Snow White happens to be red in fact, what requires some explanation. Mike Brown, the man who demoted Pluto and discovered Eris, Sedna and a host of other Transneptunian objects, explains it in detail in three successive entries at his blog: The redemption of Snow White (part 1, part 2 and part 3). Also news story at Science Daily. Panspermia is the theory that proposes that life (in its primitive forms) may have arrived to Earth from outer space. Modeling of meteorite impacts however suggest that the opposite may also be true. 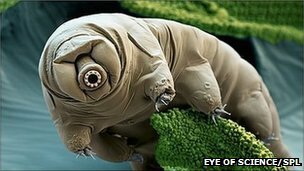 These impacts could well have ejected materials with terrestrial life such as bacteria or even those hardy water bugs known as tardigrades, which can withstand almost anything. So ‘earthling’ life may already exist on Mars, Venus or other planets, moons or asteroids of the Solar System… and there was no need for human-made spacecrafts for them to make such journeys. Direct evidence will have to wait however: it is just a model. Extremely compressed carbon seems to be what a planet, once a white dwarf star, is made of. That is like saying that the whole planet is the largest known diamond ever. Sadly for those thinking about mining it, it lays at 4000 light-years of distance, 1/8 of the path from here to the Galactic Center. This paper is an almost total vindication of what I have been saying, specially in the last year since the infamous Balaresque paper was published and got all that undeserved media and blogs’ clout. R1b1b2a1 [now R1b1a2a1]: Neolithic or what?! (on the infamous Balaresque 2010). Again on Neolithic and European Y-DNA (my own digression on why a Neolithic demographic replacement is nonsense). Finally some good research on R1b1b2a1 [now R1b1a2a1]! (on Morelli 2010). R1b1b2a1 [now R1b1a2a1] is almost unique of West Europe (on Myres 2010). Actually Busby et al. make reference to all these three papers once and again, however they seem to side almost totally with Morelli (whose research I applauded as well) and disagree profoundly with Balaresque. No wonder. They used the Myres sample, enlarged specially for better coverage of Western Europe (fig. S2). Sadly the demographic center of Paleolithic Europe is clearly undersampled (excepted Provence, well covered by Myres and dot in what are probably Toulouse and Santander respectively): not a single sample was taken in Perigord (Dordogne), Gascony or the Basque Country in what is probably a major shortcoming. … we conclude that at the present time it is not possible to make any credible estimate of divergence time based on the sets of Y-STRs used in recent studies. Furthermore, we show that it is the properties of Y-STRs, not the number used per se, that appear to control the accuracy of divergence time estimates, attributes which are rarely, if ever, considered in practise. Dating of Y chromosome lineages is notoriously controversial [25,41–44], the major issue being that the choice of STR mutation rate can lead to age estimates that differ by a factor of three (i.e. the evolutionary  versus observed (genealogical) mutation rates [33,45]). Interestingly, despite the fact that Myres et al. and Balaresque used different STR mutation rates and dating approaches, their TMRCA estimates overlap: 8590–11 950 years using a mutation rate of 6.9 × 10−4 per generation, and 4577–9063 years using an average mutation rate of 2.3 × 10−3, respectively. Separately, Morelli calculated the TMRCA based only on Sardinian and Anatolian chromosomes, and estimated the R-M269 lineage to have originated 25 000–80 700 years ago) , based on the same evolutionary mutation rate [25,41] as Myres et al. Leaves any casual (and even knowledgeable) observer quite perplex, right? The conclusion of the authors is clear: the molecular clock can’t be trusted. Even Dienekes admits it, saying that this paper could well be titled An epitaph for Y-STR. We next calculated STR diversity for each population for the whole R-M269 lineage, and for the R-S127 and R-M269(xS127) sub-haplogroups, and investigated the relationship between average STR variance and longitude and latitude in exactly the same fashion as Balaresque. (…) We normalized latitude and longitude, and performed a linear regression between these values and the median microsatellite variance for the three R-M269 sub-haplogroups. We found no correlation with latitude (data not shown) and, contrary to Balaresque, we did not find any significant correlation between longitude and variance for any haplogroup. If anything the result is the opposite, showing a mild tendency for greater variance towards the West. The Balaresque dataset presents genotype data only to the resolution of SNP R-M269. 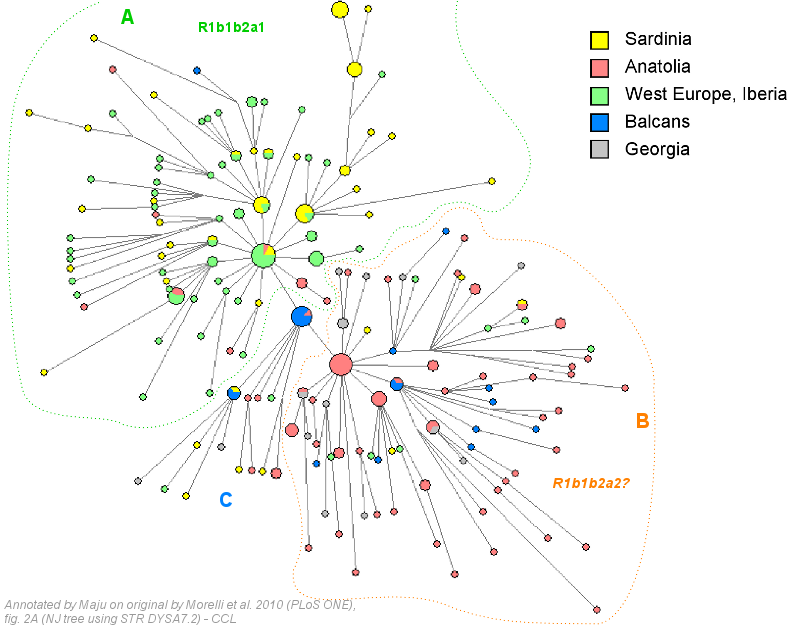 Our results show that the vast majority of R-M269 samples in Anatolia, approximately 90 per cent, belong to the R-M269(xS127) sub-haplogroup. Removing these Turkish populations from the Balaresque data and repeating the regression removes the significant correlation (R2 = 0.23, p = 0.09; details in the electronic supplementary material and figure S2). These populations are therefore intrinsic to the significant correlation. This is something I already noticed back in the day: that Balaresque’s bias blinded her to the subtleties of the downstream structure of the haplogroup, making a blank slate of all the clade. Probably the apparent greater diversity observed in Turks and Armenians is caused by the addition of (1) great diversity of R1b1a2(xR1b1a2a1) plus (2) an also diverse (but clearly derived, even in Balaresque’s own data) backflow of European R1b1a2a1. This backflow must be pre-Neolithic as far as I can discern, because since Neolithic the flow of people has been almost exclusively from East to West. Another serious criticism they make about Balaresque is the use of an Y-search dataset representing Ireland (surprisingly amateurish!) When compared with actual samples (Y-search relies on the good will of online reporters) the low diversity that Balaresque found for Ireland vanished. A ‘West Asian’ sublineage of R1b1a2? What is most intriguing in my opinion is that, if this second haplogroup is confirmed, then R1b1a2 may have ultimately expanded from the Balcans, where most carriers of the core node seem to live today. This could be consistent with the finding by Busby now of greatest frequency of R1b1a2* in Bulgaria and Romania (Morelli’s ‘Balcans’ are actually Serbia, where the lineage is rare). In addition most R1b1a1a1b* (not yet classified as any sublineage) exists in SW Europe: in France and Iberia, where often makes up the majority of the Y-DNA pool. I have therefore argued that this lineage probably coalesced within the Franco-Cantabrian region, around which all sublineages fan out. However it is admittedly hard to explain the penetration into North Italy – but I cannot think of any better explanation because neither Italy nor Central Europe seem to host enough basal diversity to be considered potential homelands for R1b1a2a1a1b. I have also argued that the “brother” haplogroup R1b1a2a1a (M405/S21/U106), shown in map (a) above, may be related to the somewhat distinct Hamburgian-Ahresnburgian-Maglemösean techno-cultural complex of Northern Europe. The people of this cultural group surely saw their expansion favored by the end of the Ice Age. [Update: the paper is open access and I have commented it in some length in a separate post]. R1b1a2 is the former R1b1b2a, which for some odd reason was renamed earlier this year at the reference site YSOGG. As most readers will know this is the dominant haplogroup in Western Europe, having also important presence in the Balcans and West Asia (being instead rare in East Europe, except among Bashkirs). The lineage is particularly concentrated among those peoples that accumulate high frequencies other European-specific markers like blood group Rh-: Basques and Celtic-speaking peoples of the Atlantic fringe. For that and other reasons the lineage has been considered a plausible lineage of Paleolithic origin, as opposed to other genetic markers that may have arrived since the Neolithic onwards. At the moment all I know is from this BBC article, because the paper is embargoed (and it is unlikely to be published open access – though I hope so). The authors are Cristian Capelli and George Busby. Capelli already dealt in the past with the British Y-DNA landscape producing a work that is quite good quality and a reference that time has not eroded almost at all. According to the BBC explanation the authors argue that the molecular clock hypothesis is useless and that there is a systematic bias for recent dates in most papers. But we knew that already, at least I did (I have been arguing that for the last many years). More interesting surely is that their research of a sample of 4500 people shows no difference in diversity within this lineage between West Europe and West Asia. This is important because the main argument for the Neolithic expansion hypothesis was that there was greater diversity in Anatolia than in Western or Central Europe. To reach such conclusion they had to ignore the internal structure of R1b1a2 and treat all the haplogroup as a single amorphous item, what is extremely questionable, but, if even in such artificial conditions, there is no such greater diversity in West Asia, then we have a very different situation and the controversial lineage may well have expanded from the Balcans, as the recent study by Laura Morelli could suggest. I can’t say much more until I get my eyes on the Capelli paper. I am quite sure however that the paper has some elements of interest because the record of Capelli on population genetics is maybe short but impeccable. 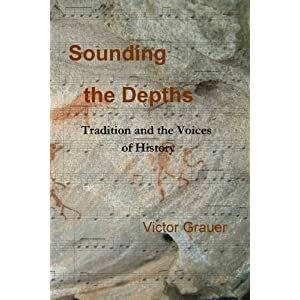 Victor Grauer’s research on the Prehistory of Music, Sounding the Depths, is printed and available for those interested ··> Music 000001. 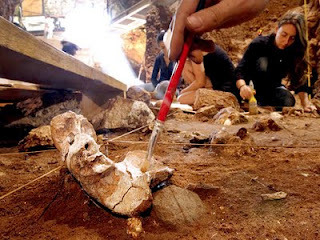 Another Heidelbergensis bone in Atapuerca ··> video at Pileta de Prehistoria[es]. A 170,000 years old forehead (left) found in Occitania (Lazaret cave) ··> Pileta de Prehistoria[es/fr]. Another Denisovan bone ··> New Scientist. 10,000 years old village unearthed in British Columbia, Canada ··> The Vancouver Sun, The Globe and Mail. 8000 years old canoe, oldest preserved in Africa, to be displayed at museum in Maiduguri (Nigeria) ··> All Africa. 6000 year old cemetery in California in danger ··> TN. Sunflower domesticated in USA, not Mexico ··> SD. Bronze Age cist found in Scotland ··> Scotsman, ITV. Planned Iron Age town found near Reading, England ··> The Heritage Journal. Iron Age enclosures found in Devon, England ··> BBC, This is Exeter. Iron Age wooden road found in England ··> BBC. Like every year I like to commemorate August the 15th, the day our ancestors defeated the largest army in their time, being the only major defeat suffered by Emperor Charles of the Franks, known to history as Charlemagne. The conflict happened after the Carolingians had converged with the Ummayads in order to destroy which was surely the most important Basque state ever: the Duchy of Vasconia. After capturing the Visigothic kingdom, the Muslim armies managed to take Pamplona and cross the Pyrenees northwards, eventually cornering the Vasco-Aquitanian forces, who had to ask for help to the conspirator Steward of the Frankish Kingdom, Charles Martel. The joint forces of both realms defeated the Ummayad forces at Tours or Poitiers but this was then used by Charles to weaken the Vasco-Aquitanian Duchy and force it again to submission and eventually dismembering. Martel’s son, Charlemagne, never before defeated in battle, was offered the city of Zaragoza by a traitor governor. In order to consolidate its capture, Charles marched south with all the Frankish army, crossing Basque territory, but found that the plot had been discovered and the governor deposed. While retreating, Charles committed his lifetime’s error: he destroyed the walls of Pamplona, maybe fearing that they could serve as a core for Basque rebellion or who knows. That was the stroke that broke the camel’s back and when the army went through the mountains somewhere near Roncevaux (probably further East, near Urkuilu mountain, where there is an ideal pass for an ambush that the old “Roman” road crossed), the rearguard of that huge army, made up by some of the most important noblemen of the Franks, notably Charles’ brother in law and Marquis of Brittany, Roland, were ambushed and exterminated. The victors were surely lightly armed militiamen, much as Roman era irregulars or later almogavars (from Arabic al-mughawwar: brawler or raider), who would plunder Constantinople and other cities signaling, together with Welsh logbowmen, the end of the medieval heavy knight. Per the descriptions we have of the fighting methods of the almogavars, these were usually mounted infantry with high mobility but who fought against knights by first killing their horses, forcing them to fight on foot, where the heavy armor was only a burden. They were so feared that, later in Greece, full armies run away when they showed up. Probably these same tactics were used at Roncevaux. Speculating: volley of arrows or other projectile is followed by direct attack, not against the knights but their horses; then the knights were slaughtered, the baggage plundered and the attackers vanished in the nearby forests. When Charlemagne went back he could only pick up corpses. It’d be just a historical anecdote but considering that the struggle against the post-Roman invaders continues even today, it is actually a reminder of a long ongoing fight for freedom. It should be our national day. 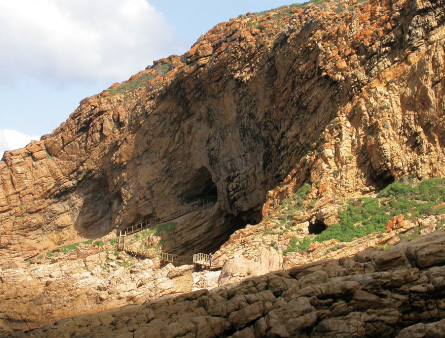 Evidence researched by Curtis Marean seems to prove that people living at Pinnacle Point, some time between 165 and 120 thousand years ago, were able to understand tides well enough as to gather seafood that was only available a few days each month. In any case, at the very least this site shows that people were exploiting coastal habitats very early in human prehistory, roughly when we have the first clear evidence of expansion of our species to other corners of Africa, such as Morocco. Full story at Science News, found via Stone Pages‘ Archeo News. Related: Coastal exploitation in Eritrea 125,000 years ago (ref. R.C. Walter et al. Early human occupation of the Red Sea coast of Eritrea during the last interglacial. Nature 2000. PPV but tables and figures are free). Kristin L. Young et al., Autosomal short tandem repeat genetic variation of the Basques in Spain. Croatian Medical Journal, 2011. Freely available at PubMed Central. The authors studied allele frequencies for 9 autosomal STR loci (D3S1358, D5S818, D7S820, D8S1179, D13S317, D18S51, D21S11, FGA, and vWA) in Basques and other populations of Europe, West Asia and North Africa. 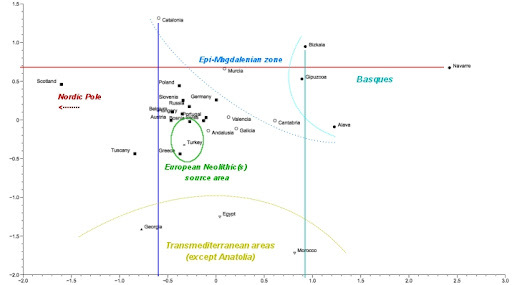 The formal conclusions are that individual Basque provincial subpopulations have low heterozygosity (genetic diversity) for European standards and that there is no relevant genetic connection between Basques and either Caucasus or North African peoples that could justify the corresponding linguistic hypothesis. This is not new but at the very least it does say that genetics does not support at all the Vasco-Caucasian linguistic hypothesis, at least if this one is understood as Neolithic genetic and linguistic flow from the Caucasus (or anywhere nearby). PC1 is described mostly by the red horizontal axis between Navarre and Scotland and seems to define internal European variation (what is logical because most populations are Europeans). The axis has a Basque vs Scottish distinction and I think it points to pre-Neolithic differences. 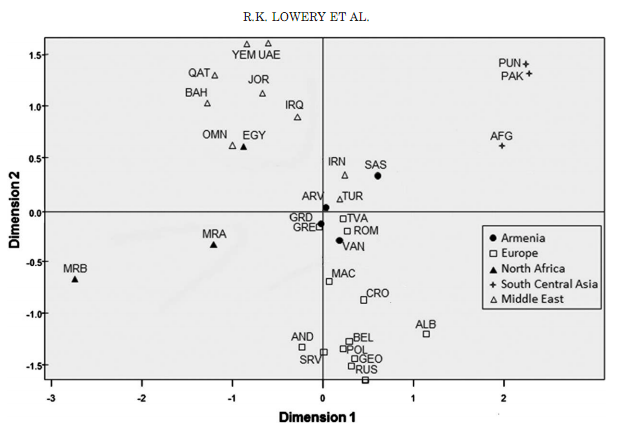 PC2 is described by the two blue vertical axes and it seems to indicate an opposition of the like of European vs Transmediterranean (West Asian or North African, which are dumped together by a negative definition). It is notable however that Turks are outside this group and cluster instead with those Europeans (Greeks, Tuscans) who show a greater tendency (admixture) towards the Transmediterranean zone. In the opposite pole of barely diluted Europeanness stand Catalans, most Basques (except those from Araba/Alava), Scots, Polish and, curiously enough Murcians. The position of Murcians is interesting and I think that easy to explain from the viewpoint that Murcia shows no Cardium Pottery settlement, as far as I know. Not even geometric Epipaleolithic (second Epipaleolithic wave, from “France”, related to Tardenoisian/Azilian) and this is why I annotated Azilian zone over there. I was going to write Pyrenean zone when I saw Murcia right there and thought again. Murcians also seem to stand out as relatively “Northern-looking” in the context of Southern Iberia, at least according to what Heraus and I discussed some time ago at his blog, this may be for relative lack of Transmediterranean admixture (compare in the chart above with their Valencian and Andalusian neighbors), which is in agreement with what I think I know of Murcian deep origins. Cantabrians in comparison stand as Basque-like but also with marked Transmediterranean admixture (low in the vertical axis). This may have to do with the high presence among them of Transmediterranean Y-DNA lineages like E1b or J. At the moment (recent findings) it seems that there is a much older Neolithic arrival to Cantabria (and Enkarterriak) than to most of the Basque Country, what may be an explanation. Why are Catalans so strong in the axis of Europeanness? Were not they affected by Cardium Pottery colonization. In fact Catalonia was probably more colonized than Murcia: there was one single known colony (as far as I know) at Cova de Montserrat. All the rest are assimilated natives. Later Catalonia has a quite autonomous prehistory of their own until mainland European influences arrive with Urnfield culture (Celts?) and later Goths and Franks. Still there may be an element of fluke in the sample, whose quality I could not ponder because it is referred to an older pay-per-view study. Scots are also quite a curiosity. A lot of ink has been wasted trying to relate Scots and Irish with Basques and what not. This is because of commonality of European Paleolithic persistence in the blood of all these peoples but otherwise there is no particular relation. Even recently Steven Oppenheimer was in a gig through the Basque Country sowing confusion on this matter and claiming happily that the Irish are some sort of Basques. This and other studies clearly indicate otherwise: when the samples allow, Basques and Scots (or Welsh or Irish too) can even describe the main axis of difference at pan-European levels. 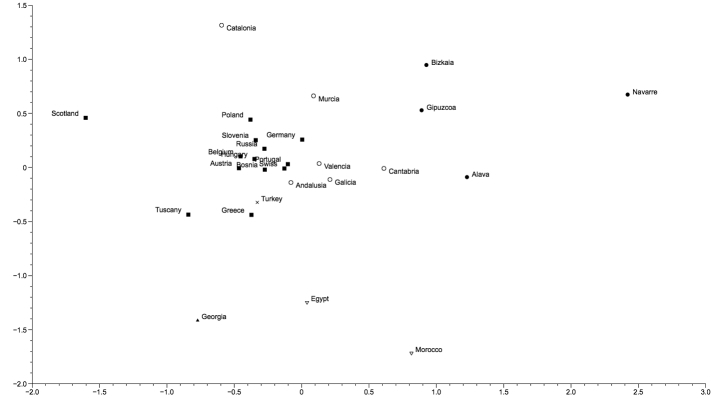 Both populations show strong index of Europeanness (vertical axis) but are otheriwse different (horizontal axis). Not wanting to go into any depth with the label, I described them as the Nordic Pole (toying of course with the concept of North Pole). The late Paleolithic or Epipaleolithic origins of this pole are to be surely found, at least partly in the Hamburgian-Ahrensburgian-Maglemosean cultural sequence. And it is indeed true that the first Scots were of Ahrsensburgian culture. However there should be another Neolithic component from Brittany and West France, originally related surely to the Tardenoisian-Sauveterrean side of Epi-Magdalenian, proper of Northern France and the Rhine-Danube province. To much of a complexity to ponder here, where the data does not allow for more. A brief mention of the Tuscans is almost obligatory (or I will suffer the ires of some readers no doubt). They are high in Transmediterranean influence (as expected) but they are also high in Nordicness, more than any other population except Scots themselves. It is difficult to judge here but I suspect this has to do with the high frequency of similar looking people between North Italy and Britain (not just any Nordic area, specifically Great Britain but also those more classically Nordic in this island). This connection is tenuous, elusive and hard to explain but since I have dabbled with human anthropometry I have once and again found this connection where some (not all) North Italians look, not like Austrians, Sud-Slavs or even French, but rather like Brits. I say this with all kind of doubts but I feel I must open my heart in this matter anyhow. See also the preliminary discussion at the previous post‘s comment section, an old post on Achilli 2008, where the mtDNA PCA had some similarities with this one, and Bauchet 2007, where again there are some similitudes (but also some differences ) with how the data behaves in this study. Update: it may be interesting to compare with Nelis et al. 2009 (open access) which also address European autosomal genetics from a particular ethno-geographic perspective, that of Estonians. There are differences and elements of similitude, notably that the overall European structure that we are more or less used to see in more generalist papers is in these two cases perceived from certain perspective and therefore somewhat distorted (sample size rules). This is not a bad thing at all, it is a feature and not any bug: these kind of locally focused studies on the wider continental region, add unique complementary perspectives but also help us to understand better how relatively minor changes on the emphasis of the samples can alter very much the results. And that is why one study on Europeans will emphasize N/S differences while other emphasizes E/W ones instead for example. And that’s why certain study (for example all those with focus on the Jewish genetic place in the World) can put all Europe quite linearly in dependence of, say, West Asia (where there is diversity barely indicated here) and then another one put all Europe as a function of the Pyrenees and little more. The funny thing is that both are right and that a more holistic perspective and great care on the weight given to each population for reason of the samples used are needed to see the whole picture properly. Update (Aug 12): Dienekes just mentions another paper focused on a single population (Armenians in this case) within their wider West Eurasian context. It is particularly comparable with this one because the methods (a handful of STR sites) are very similar. This attends to geography, genetic isolation and history/prehistory. Similarly in the previous counter-example of Estonians, these are somewhat extreme but only because their Finnish relatives are even more extreme than they are.